We are sure that this isn’t a problem for most travelers but it was a problem for us: going on vacation and taking your wine cellar with you. We’ve mentioned in several posts that my family runs a vineyard and we make some pretty damn good wine. The idea of taking a bottle or two with us as a gift for our captain and to share with our crewmates was only natural. The problem is that a 750ml glass bottle of wine isn’t exactly TSA approved for your carry on. We had to do a little problem solving on how to get that wine down there and in one piece. We looked at shipping it, but the USPS doesn’t ship alcohol, and the cost for FedEx to ship it was ridiculous. Yes, we could have given up and bought wine down in the Virgin Islands and it would have tasted just fine. It just wouldn’t have been ours. We realized that we each could check a bag without any cost for our flight. We hate checking bags and can’t remember the last time we did it; it might have been on our trip to Tanzania. We were both nervous about shipping the glass bottles of wine as luggage. The image of broken bottles and a soggy wine-stained box meeting us at luggage claim was hard to escape. We then devised a plan to pack it extra carefully. We first got a wine box, one with space for 12 bottles. We then chose 6 bottles of wine. A trip to the office store for bubble wrap to go around the bottles might have been enough for most but we wanted to be sure. We realized that one of the best packing materials ever created was at our fingertips. A biodegradable and delicious packing material that could be shaped to fit the contours of the box and would soften any impact. What was the miracle packing material? Rice Krispie Treats! I made a tray of the marshmallow and rice snacks and placed them in large gallon bags. Then we packed them in the box around the bottles. The added benefit to this idea was we could eat the packing material as a snack later. The note from the TSA/Customs to inform us they opened the box for special screening. You don’t want to bring cardboard boxes on to a boat. A box takes up too much space and insects often lay their eggs in the glue and then hatch on the boat. So after we collected our box from the luggage conveyor belt we opened her up. We did notice that the TSA had opened the box and retaped it (they didn’t pilfer any of the tempting treats or wine inside). I broke down the box and we placed the bottles in a cloth wine bag. We stuffed the treats in our bag and headed to the taxi stand after disposing of the cardboard. We got some interesting looks in the airport as we unpacked and repacked, and got a few compliments on the creativity of our packing. We really enjoyed the wine. 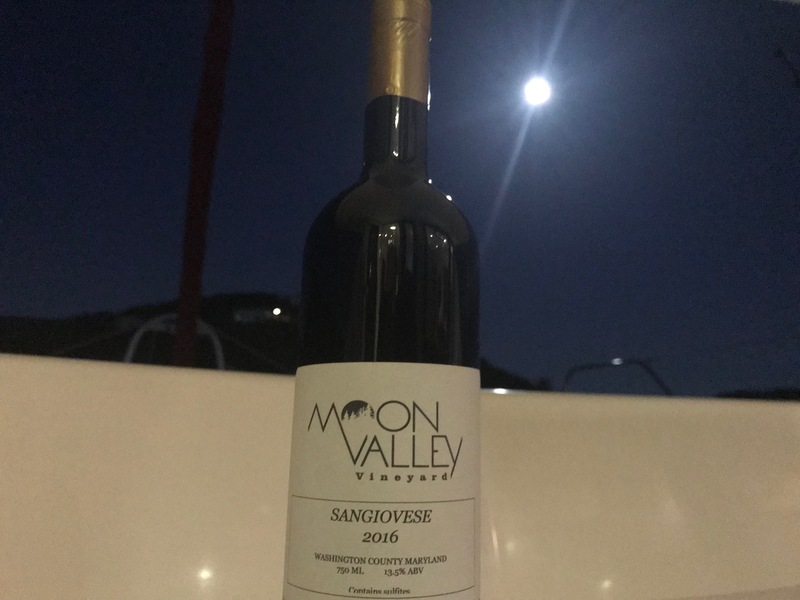 It was really special to have our wine, that we made with our own hands, while sitting in the moonlight after a long day of sailing. We opened our best wine, the Sangiovese, on the last night after our final test.